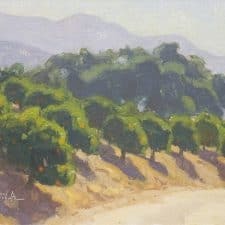 California-based artist Dan Schultz has chosen to build upon the historical tradition of representational fine art. 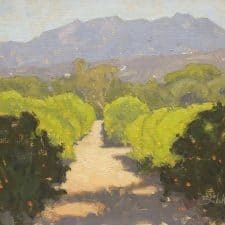 With a background in commercial art, he has taken influence from many of the golden-age illustrators as well as from classical realism and impressionism. He believes that beauty is of great importance to the human soul and that God uses the beauty of his creation to communicate with humanity. "If art is a vehicle for this communication, then my role as an artist is truly humbling," says Schultz. Schultz grew up in a small town in eastern New Mexico which provided little exposure to the world of art, galleries or museums. None of his family members or friends worked in the arts although his father's aptitude as an accomplished guitarist and woodcarver was certainly an influence. High school, after a family move to Colorado in 1988, brought the first real art instruction to Schultz and the opportunity to compete in a state-wide art competition. One of his drawings received the first place award his senior year and went on to bring him the same award at the national level. As a result, he decided to study commercial art and chose Pensacola Christian College in Florida. 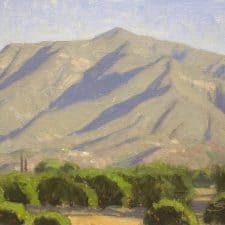 There he developed a strong foundation in the fundamentals of representational art through the program’s focus on illustration and graphic design. After graduating with honors, Schultz took a graphic design job in Colorado and painted portrait commissions in his spare time. Two years later, Schultz discovered Cottonwood Art Academy in Colorado Springs and was soon invited to join the teaching faculty as their youngest instructor. The other instructors at Cottonwood were the first to inspire Schultz to pursue fine art and encouraged him to exhibit his work in shows and galleries while continuing his graphic design. In 2005, he began to paint full-time. 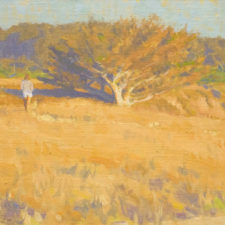 plein air landscape and portraiture. Southwest Art magazine featured his work in its September, 2004, "21 Under 31" article. 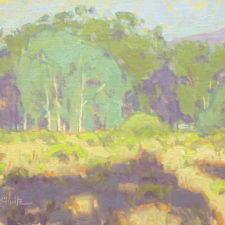 He received the First Place award in the 10th Annual American Impressionist Society National Show and has also received awards from the Oil Painters of America, the California Art Club, the Art Renewal Center, the Rocky Mountain Plein Air Painters, the Portrait Society of America and Fine Art Connoisseur magazine. 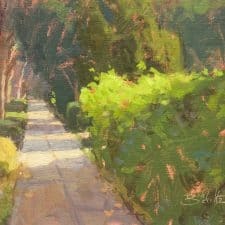 With the help and support of his wife Sarah and sons Ian and Tobin, Schultz maintains a gallery and studio in downtown Ojai, California. He continues to explore the special connection that art can provide between the Creator of the universe, the beauty of our world and the human soul.